Dr. Denis Alexander is the Director of the Faraday Institute for Science and Religion, St. Edmund’s College, Cambridge, where he is a Fellow. Dr Alexander writes, lectures and broadcasts widely in the field of science and religion. Since 1992 he has been Editor of the journal ‘Science & Christian Belief’, and currently serves on the National Committee of Christians in Science and as a member of the International Society for Science and Religion. A recent publication on science and religion is, Alexander, D.R. (2008) ‘Creation or Evolution – Do We Have to Choose?’ Oxford: Monarch. Joe Allen is a Biomedical Science Graduate from the University of Reading and is passionate about the teaching of Science. He believes that spirituality and science are intertwined and can be taught likewise. He has been working with primary school children conducting Science shows, workshops and After School clubs since leaving university. Professor Jim Al-Khalili obtained his PhD in theoretical nuclear physics from Surrey in 1989. He spent two years as an SERC Postdoctoral Fellow at University College London before returning to Surrey in 1991. He was appointed lecturer in 1992 Along with his teaching and research, he spends considerable time on science engagement activities and popularising science. He is author of several popular science books and appears regularly on radio and television. Denise Balmer is a Geologist. As a child she heard the Old Testament stories at home and Sunday School and many of them conjured up pictures in her imagination. These images remained with her long after her childhood and into the days when she began to question everything, not just biblical stories but other myths and legends. She feels that many events recorded in the Old Testament need to be discussed and thought about so we can understand them historically, geologically and geographically. Jane Borgeaud is a Lecturer in Primary Science at the Institute of Education here at Reading University, training student teachers to teach science effectively. When not at the university she works with REinspired Caversham, delivering the Christianity part of RE lessons in local schools. She is passionate about enabling children and young people to question and think about anything and everything and enabling teachers to be the best they can be. John Bryant is Professor Emeritus of Exeter University and is a noted writer and speaker. His main science research interests in are in the replication of DNA and in the regulation of gene activity in relation to the cell division cycle. He speaks frequently, in churches, to church-associated groups, to student groups and to secular groups on issues in bioethics and in the science-religion debate. Recent publications on science and religion include, J.A. Bryant and J.F. Searle ‘Life in Our Hands’, Inter-Varsity Press, Leicester, (2004) and Bryant, J.A. and Gudgin. M.G. (2006). ‘Attitudes to stem-cell research amongst conservative evangelical Christian students and students of no religious faith’. Steph Bryant spent most of her childhood exploring the outdoors and learning about nature. After studying the natural sciences, specialising in zoology, at the University of Cambridge, she worked on a number of conservation projects from studying wolves in Bulgaria to frogs and salmon in Canada. She particularly enjoys sharing her love of the natural world with all around her, passing on her enthusiasm for the sciences. Dr Keith Chappell is a biologist at University of Reading where he teaches ecology and evolutionary biology. He is also a Christian theologian and writes on social issues. He is interested in the relationship between science and society and is passionate about helping people discover the wonders of the natural world. Dr Martin Coath is a researcher, science communicator and musician. He works at Plymouth University Cognition Institute where his research involves writing computer programmes that model some parts of the brain, particularly in the auditory system with the aim of understanding how we hear things, and how we learn to hear things. He also helps to design brain-like devices that we hope will, in the end, be better than conventional electronic equipment. He visits to schools and science festivals, and occasionally appears on stage, and on radio and television, believing that science belongs just as much in public as it does in the laboratory. You can find out more about Martin’s work from his staff profile on the Plymouth University website. Lizzie Coyle holds a degree from Cambridge University in Evolutionary and Behavioural Biology, Geology and the History and Philosophy of Science. She has also worked with children and young people for many years in a variety of contexts. She now works full time for The Faraday Institute for Science and Religion and regularly provides lessons, workshops and talks on science and faith for children, young people and students. Dr. Paul Davies, having always been interested in animals and fossils, studied for a BSc in Zoology before completing a PhD researching the evolution of elephants in Pleistocene Europe. He then became a secondary school teacher and taught for ten years in a number of London schools, most recently as Head of Biology. Two years ago he moved to teacher training and is now at the Institute of Education, University of London where he also carries out his own research. He is currently interested in the teaching and learning surrounding evolutionary biology and the use of teacher knowledge in explaining science. Susan Davis is a fingerprint expert with Thames Valley Police. Krishna Dharma is a Hindu Priest and author. Hinduism has various branches but he belongs to the branch known as Vaishnavism, which is essentially the monotheistic strand of the faith. His scriptures are called the Vedas, ancient Sanskrit writings comprising a wealth of both material and spiritual knowledge. The Bhagavad-gita, sometimes known as the ‘Hindu Bible, and this is his main guide in life. He was born and raised in Christianity but for the last 35 years has been a worshipper of Krishna, a Sanskrit name for God meaning the ‘all attractive person’. Jane Fieldsend is a lecturer in Biology Education at the Institute of Education, University of Reading. While both in and out of the lab she passionately communicates to schools and university students the value of science and her interest in the questions that cloning technology raises. Professor Nidhal Guessoum is an astrophysicist. His research focuses on gamma radiation, mainly from the Milky Way Galaxy, but lately from other sources in the Universe as well. Prof. Guessoum has published many articles on issues related to science, education, the Arab world, and Islam, and authored or co-authored several books, including: The Story of the Universe – from primitive conceptions to the Big Bang (in Arabic, 4 editions) and Islam’s Quantum Question – reconciling Muslim tradition and modern science (IB Tauris, 2011). David Hall has a background as a science teacher and an actor, and so becoming part of Johnny Ball’s “Living History of Science” team seemed inevitable, combining all of his skills. Since 1996 he has been entertaining and educating audiences nationwide as a flamboyant Sir Isaac Newton, IK Brunel and Michael Faraday. The Rt Revd Peter Hancock is the Bishop of Basingstoke in the Diocese of Winchester. Peter undertook an undergraduate degree in Natural Sciences at Selwyn College, Cambridge before training for the ministry at Oak Hill Theological College in London. He was a curate in Portsmouth and Salisbury before becoming a Vicar and Honorary Canon of Portsmouth Cathedral. He was then Archdeacon of the Meon before becoming a Bishop. He is a member of the Society of Ordained Scientists and has a particular interest in the relationship between science and Christianity. Andrew Happle is a lecturer in science education at the Institute of Education, University of Reading. He works across primary and secondary science. He’s particularly keen on engaging and motivating students through hands on practical activities that have a relevance to everyday life. He’s also interested in how science links with other subject areas. Professor William Harwin is Head of the Cybernetics Research Group at the University of Reading, Department of Cybernetics, where his research interests encompass the interfaces between humans and smart machines as typified by medical and rehabilitation robots. Dr Nick Hawes is a Lecturer in the School of Computer Science at the University of Birmingham. His research is focussed on applying techniques from Artificial Intelligence to allow robots to perform useful tasks for in everyday environments (such as making you breakfast, or working in a care home). You can find a link to Nick’s personal website by going to the School of Computer Science pages of the University of Birmingham website. The Revd. Dr. Rodney Holder is Course Director of the Faraday Institute and was formerly Priest in Charge of the Parish of the Claydons, Diocese of Oxford. Dr Holder, whose background is in cosmology and astrophysics, explored ways in which science and faith may complement each other in Nothing But Atoms and Molecules? (1993, reprinted 2008). In his second book, God, the Multiverse, and Everything, (2004) Dr Holder examines the fine-tunings of natural law that were necessary for life to evolve in our universe. Paul Hopkins has been working and teaching in various places from primary to HE and in various subjects from physics to religion for the last 15 or so years. He believes we should be educating children into an open conversation with the universe in all its forms and asking why and how a lot more than what, who and when. Dr Gill Hopper is course leader in Art at the University of Reading. Her research interests are varied and include the history of drawing and its position and role in schools; the broad area of women, art and art education and the place of contemporary art and art practice in the school curriculum. Professor Sir Colin Humphreys is the Director of Research in the Department of Materials Science and Metallurgy, University of Cambridge. Prof. Humphreys publishes and lectures extensively in the field of science and religion, and has a particular interest in the application of scientific knowledge to the understanding of the historicity of the Biblical text. Recent publications in science and religion include Humphreys, C.J. ‘The Miracles of Exodus – A Scientist’s Discovery of the Extraordinary Natural Causes Underlying the Biblical Stories’ Continuum (2003) and Humphreys, C.J. ‘The Mystery of the Last Supper: Reconstructing the Final Days of Jesus’ Cambridge University Press (2011). Chris Jarvis is one of the Education Officers at the Oxford University Museum of Natural History. Having spent his formative years in Nigeria, where he grew up surrounded by wildlife and kept snakes, owls, bushbabies, bushpig and other animals as pets, he has been a keen amateur naturalist all his life. Professor Andy Kempe is Professor of Drama Education and a Teaching Fellow of the University of Reading where (for many years!) he has been training teachers in Arts Education. He edits the Dramascripts series and has written on a wide range of issues concerning drama and education. David Kempton studied Electronic Engineering at Kingston University and was a Student Apprentice with British Aerospace. David works with Thales Optronics designing and manufacturing Thermal Imaging equipment for land, sea and air platforms and is currently involved with the design, build and installation of an Infra Red Search and Track (IRST) system for the Eurofighter Aircraft. This system is like a passive RADAR, giving pilots early warning of airborne threats. He is a STEM Ambassador, sponsored by Thales and is currently developing a series of Robotics Workshops aimed at teaching students the fundamentals of Computer Programming. The workshops build from simple robot movement challenges to getting the robot to interface with the real world through bump detectors, sound and lights. Dr Rachel King is a postdoctoral research assistant in the School of Systems Engineering at the University of Reading. Her research interests include pervasive monitoring using wearable technology to help address the changing needs of healthcare. Jay Lakhani is a theoretical physicist who has explored the findings at the cutting edge of modern physics to see how they relate to ideas of spirituality within the Hindu tradition. He studied Physics at Imperial College and then did Masters in Quantum Physics under Sir Roger Penrose. While studying Physics his attention was drawn to the esoteric teachings of Hinduism that he sees as resonating well with ideas like ‘Big Bang’ (spontaneous creation) and ‘Quantum’ and as indicating a deeper dimension to reality which is non-physical. Dr Stephen Law is Senior Lecturer in Philosophy, Heythrop College, University of London. He is editor of THINK, a journal of the Royal Institute of Philosophy. Dr Law was previously Junior Research Fellow at The Queen’s College, University of Oxford, where he obtained B.Phil and D.Phil degrees in Philosophy. Dr Law is currently working on topics in the philosophy of religion, especially the evidential problem of evil and Plantinga’s Evolutionary Argument Against Naturalism. He also works in metaphysics, especially on natural kinds and necessity. Revd Mark Laynesmith is the chaplain for the University of Reading. He is passionately interested in the ways of art, literature, film and social justice intermingle with theology. Dr. Ard Louis is a Royal Society University Research Fellow and a Reader in Theoretical Physics at the University of Oxford, where he leads an interdisciplinary research group studying problems on the border between chemistry, physics and biology. Dr. Louis is the International Secretary for Christians in Science and an associate of the Faraday Institute for Science and Religion. Professor Alister McGrath read chemistry at Oxford University before carrying out research in molecular biophysics there, and beginning the study of theology. A studentship in Divinity at St John’s College, Cambridge, enabled him to begin serious research into Christian theology, including its interaction with the natural sciences. His research interests focus on the relation of the natural sciences and the Christian faith. He is Chair of Theology, Ministry and Education in the Department of Education and Professional Studies at King’s College, London. Dawkins’ God: Genes, Memes and the Meaning of Life (Blackwell, 2004); The Order of Things: Explorations in Scientific Theology (Blackwell, 2006); The Open Secret: A New Vision for Natural Theology (Blackwell, 2008); A Fine-Tuned Universe? AnthropicPhenomena and Natural Theology (Westminster John Knox, 2009; Darwinism and the Divine: Evolutionary Thought and Natural Theology. (Oxford: Blackwell, 2011). Emily Messer is a primatologist by training, studying how primates (human and non-human) learn from and through observation. She has experience working with school children of all ages and did her PhD with the University of St Andrews at Edinburgh Zoo. Andrew Moore is a Fellow of the Centre for Christianity and Culture at Regent’s Park College, University of Oxford. He is a member of the University’s Faculty of Theology and Religion and lectures on Science and Religion and the Christian Doctrine of Creation. He researches topics on the borderlands of philosophy and theology and his publications include Realism and Christian Faith (Cambridge University Press). When he is not busy with academic things, he is a keen runner, mountaineer and rock climber. Nancey Murphy is Professor of Christian Philosophy at Fuller Theological Seminary, Pasadena, CA. Her research interests focus on the role of modern and postmodern philosophy in shaping Christian theology, on relations between theology and science, and on relations among philosophy of mind, neuroscience, and Christian anthropology. Her most recent books are Bodies and Souls, or Spirited Bodies? (Cambridge, 2006); and (co-authored with Warren Brown) Did My Neurons Make Me Do It? Philosophical and Neurobiological Perspectives on Moral Responsibility and Free Will (Oxford, 2007). Mark Pagel is a Fellow of the Royal Society, Professor of Evolutionary Biology at the University of Reading and an External Professor at the renowned Santa Fe Institute in the USA. He has travelled the world studying evolution and the spread of cultures from the Chalbi Desert in Kenya to Tanzania and Zanzibar, and remote Oceania. He is the editor-in-chief of the award winning Oxford Encyclopaedia of Evolution and co-author of The Comparative Method in Evolutionary Biology, as well as the author of articles in Science, Nature, and other journals. Statistical methods that Professor Pagel has developed are used by researchers all over the world to study evolutionary trends across species. His new book Wired for Culture was published March 2012. Anna Pearson completed a Masters in Physics at Royal Holloway, University of London. She is currently working on her DPhil at Oxford University to try to find out if there is or where the boundary of quantum mechanics lies. Simon Peatman is a Post-doctoral researcher in the meteorology department at Reading, He has a physics degree from Oxford and a PhD in tropical meteorology from the University of East Anglia (UEA). Dr Matt Pritchard loves being creative and is passionate about simplifying the complex. Previously Matt conducted atomic physics research at Durham University. He has spent the last 14 years working as a professional magician and is an Associate of the Inner Magic Circle. He performs to over 75,000 people a year and works with organisations like The Royal Society, Royal Institution and British Science Association. Matt loves discovering new things, asking big questions and exploring the interplay between magic, science & faith. Dr Geoff Taggart is a lecturer in the Institute of Education. His PhD focussed on spirituality in education and he is an ordained Interfaith Minister. Kevin Warwick is Professor of Cybernetics at the University of Reading, England, where he carries out research in artificial intelligence, control, robotics and cyborgs. Kevin’s present research involves the invention of an intelligent deep brain stimulator to counteract the effects of Parkinson Disease tremors. Another project involves the use of cultured/biological neural networks to drive robots around – the brain of each robot is made of neural tissue. Kevin is known for his pioneering experiments involving a neuro-surgical implantation into the median nerves of his left arm to link his nervous system directly to a computer. Robert (Bob) White is Professor of Geophysics in the Department of Earth Sciences at Cambridge (since 1989) and was elected a Fellow of the Royal Society in 1994. He leads a research group investigating the Earth’s dynamic crust: in particular the way in which enormous volumes of volcanic rock are produced when continents and oceans rift apart. He is Associate Director of the Faraday Institute for Science and Religion. Selected Science-Religion Publications: Alexander, D. & White, R. S. (2004) Beyond Belief: Science, Faith and Ethical Challenges, Lion; Spencer, Nick & White, Robert (2007) Christianity, Climate Change and Sustainable Living, SPCK, 245pp; White, Robert S. (editor) (2009) Creation in Crisis: Christian Perspectives on Sustainability, SPCK. Althea Wilkinson is part of the School of Physics and Astronomy at the University of Manchester. She is Project Manager at Jodrell Bank Observatory for the Signal and Data Transport (SaDT) Consortium. This is the backbone of the Square Kilometer Array (SKA) multi-purpose radio telescope, based in South Africa and Western Australia. The SKA will be the world’s largest and most sensitive radio telescope that will play a major role in answering key questions in modern astrophysics and cosmology. Guy Williams is Head of Philosophy and Religion at Wellington College. He studied Theology at Cambridge University and did doctoral studies at Oxford University, specialising in the spirit world in early Christianity. He has been teaching since 2007 and has published a number of books and articles since then, including co-authoring a Philosophy textbook. Guy has also worked as an examiner for A Level and for the IB. He regularly gives talks on a range of philosophical and religious topics, and works with a number of educational bodies. Dr. Rowan Williams, former archbishop, is acknowledged internationally as an outstanding theological writer and teacher as well as an accomplished poet and translator. His interests include music, fiction and languages. As archbishop his main responsibilities were pastoral – whether leading his own diocese of Canterbury and the Church of England, or guiding the Anglican Communion worldwide. After ten years as archbishop, he has moved on to a new role as Master of Magdalene College, Cambridge. Dr. Jennifer Wiseman grew up on a farm in the Ozark mountains of Arkansas in America. Inspired with a passion for space and the night sky Dr Wiseman went on to gain a PhD in astronomy from Harvard University and soon after became the Program Scientist for the Hubble Space Telescope at NASA Headquarters. For many years now, she has led projects looking for planets in other solar systems and she is also interested in finding out more about how stars work. Please note: Dr. Wiseman is representing her own personal views and not those of NASA. Dr. Woolley holds a Doctorate in Theology and a Master of Studies in Science & Religion from Oxford University, an MA in History & Phenomenology of World’s Religions from the Graduate Theological Union, Berkeley, a BSc in Biology from Washington University in Saint Louis, and has worked for the better part of a decade in the biological sciences on The Human Genome Project and related research initiatives. 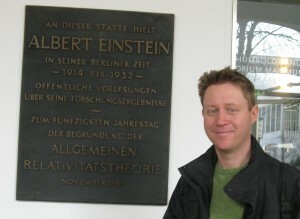 His doctoral research was on Paul Tillich’s critique of Albert Einstein. He is currently a Post Doctoral Fellow at Harris Manchester College, Oxford, and Visiting Scholar at The Centre for Health Law and Emerging Technologies at Oxford (HeLEX) where he researches challenges to current ethical frameworks that govern biotechnology. Research interests include: philosophical, ethical, and religious ramifications of scientific reductionism; the analytic-continental divide in theology; post-Kantian epistemologies of religion; the time-eternity relation; metaethics; and interfaith dialogue.